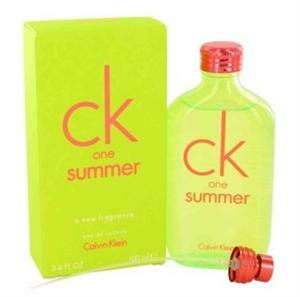 CK One Summer perfume by Calvin Klein is a traditional yet evocative choice that will turn heads wherever you go. Introduced in 2004, CK One Summer is composed of a perfect balance of cucumber, cardamom, hedione, watermint, moss, watermelon, musk and blonde woods. It's fruity, moderate fragrance works just as well for a relaxed evening party with friends as a lunch date with a potential partner.